Another week full of victories for GamersOrigin team, which shined during the 2018 Gamers Assembly and in online team-by-team tournaments. The Dofus World Series were played both at the beginning and at the end of the week, with two wins and a loss for us. 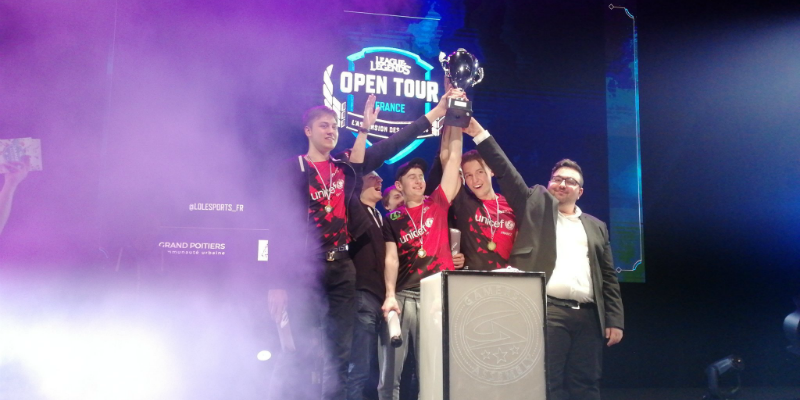 GamersOrigin is in the top of the ladder and is ready to defend its title in few weeks. Hearthstone Team League wasn’t successful for our players as we lost to Wizards. We still have a chance to reach the last stage of the tournament this week in a decider match against Sector One. This week’s main event was of course 2018 Gamers Assembly, where GamersOrigin was favorite in every tournament it took part in. The organisation handled well this pressure and came back from Poitiers with three titles and a third place. Competition started smoothly for Stephano, who only faced a tough opposition in a semifinal against DnS. 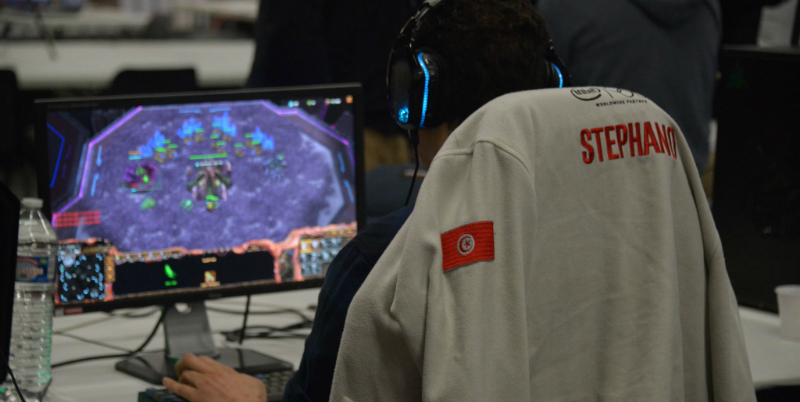 He lost against the French Protoss 3-2 after very tense games. He played and won a bronze medal match against SoulSpirit 3 to 1. League of Legends players played their very first LAN since the arrival of Ram “Brokenshard” Djemal as a coach. Due to their victory in the qualifier, they only started to play after group stage. They moved forwards without difficulty, except against Gentside. They dropped a map but still moved on to the winner bracket final and beat LDLC 2-0. 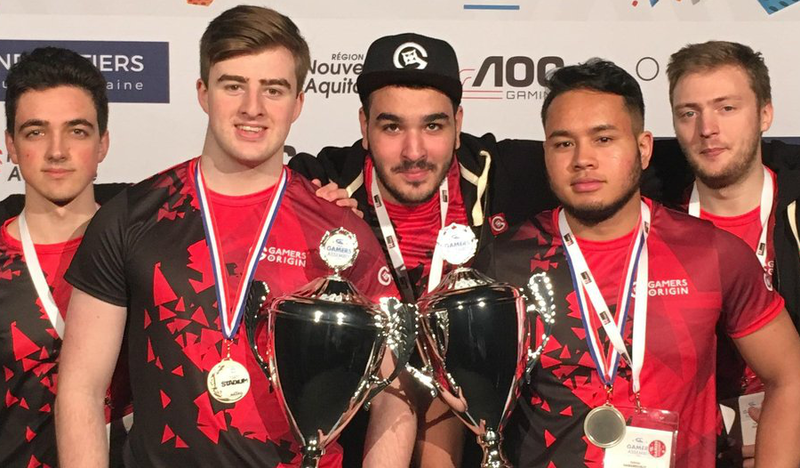 Gamers Assembly final wasn’t just about winning another trophy in a French LAN. There was a first seed for the European Masters at stake. A victory against LDLC implied we would have to play a tie-breaker against them to decide which team would be the first French seed and would be qualified directly for group stage. With a 1-0 lead thanks to their victory inside the winner bracket, GO easily defeated the Foxes 3-0 and only dropped a single map in the entire tournament. A good signal before the tie-break, but LDLC will certainly seek revenge. The TrackMania boys handled all the expectations around them. Pac proved once again that he is simply the best by winning the Stadium Cup. Papou won the Dirt Cup and proved he is one of the best driver at the moment. Aurel finished top 5 and Cap top 13! All the GO players are in the very top of the leaderboard. Fishou, Un33d, Chinoize and Den weren’t successful in the Hearthstone tournament. They didn’t reach the top 32 after the last Swiss round and were eliminated. The PUBG players faced tough opposition during this weekend, however they managed to reach the final by using all their mental ressources. They had a good reaction during complicated moments and never gave up: they obtained three top 1. They finally reached the ultimate lobby of the LAN, where they finished with a top 8. Thanks to Nahimic, the team sponsor supporting us in this adventure. Thanks to our partners Ouibus and Scoup Esport, which allowed us to travel to the venue and to use a top-rated gear during all the LAN!